Initial Design Consultancy is the first step of the design process. 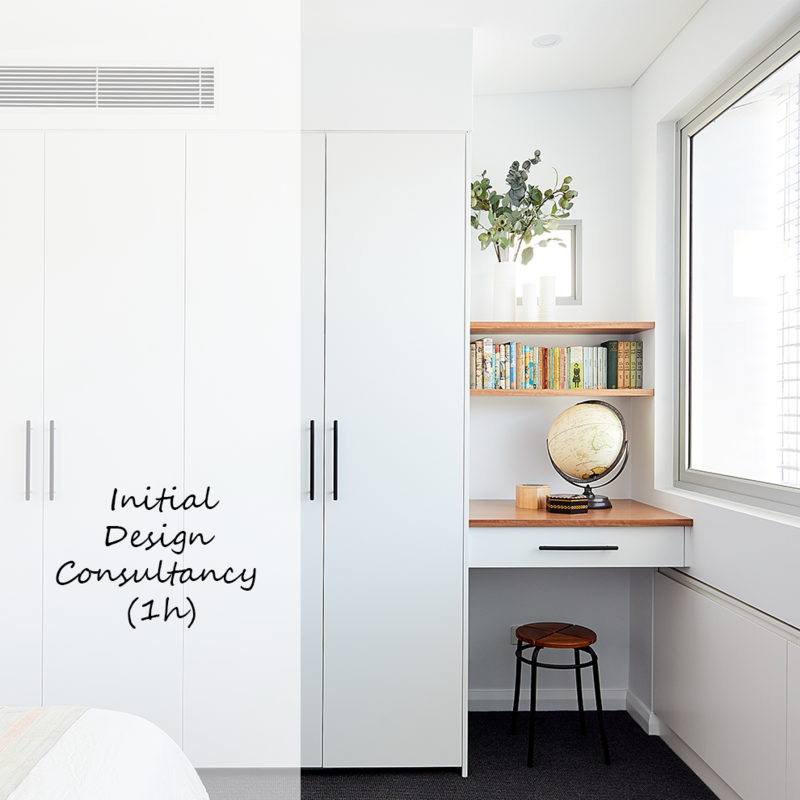 This is the start package for any design project - whether you need interior design help for a kitchen or bathroom design, custom joinery design or you are planning to renovate. The process starts by us meeting and discussing and for me to see your house, for about an hour. You can book a suitable time directly to my calendar (click Appointments in the Package menu on the left). Fill in the Questionnaire (click Questionnaire in the Package menu) to help me understand your needs. Do the Interior Design Style Quiz to figure out your style if you're unsure (or just for fun). If you already have a floor plan from your house it would be very helpful but it's not compulsory. You don't need to clean up your house! Look at any Pinterest / Houzz pictures or magazine photos of rooms that you like to figure out your style. Brainstorm together what can be done in the space. I will measure the rooms and take photos. I will create a personalised quote for the design work in your house, to match the scope and your needs.